QUEZON CITY--￼The return of Matt Wright and Japeth Aguilar headlines the Gilas Pilipinas lineup that will take on Qatar in the home leg of the fourth window of the FIBA World Cup Qualifiers at the Smart Araneta Coliseum on Monday night. Wright and Aguilar served a one-game ban in the national team's previous match at Iran owing to their part in the infamous brawl in Bocaue against Australia on July 2. “It is a welcome development that Japeth Aguilar and Matthew Wright are back in the Final 12 after￼serving their one-game suspension imposed by FIBA,” Samahang Basketbol ng Pilipinas president Al Panlilio said in a statement on Sunday. He also looks forward to seeing both players providing impact for Gilas as Coach Yeng Guiao went for an athletic lineup in the first part of a three-game home stand. 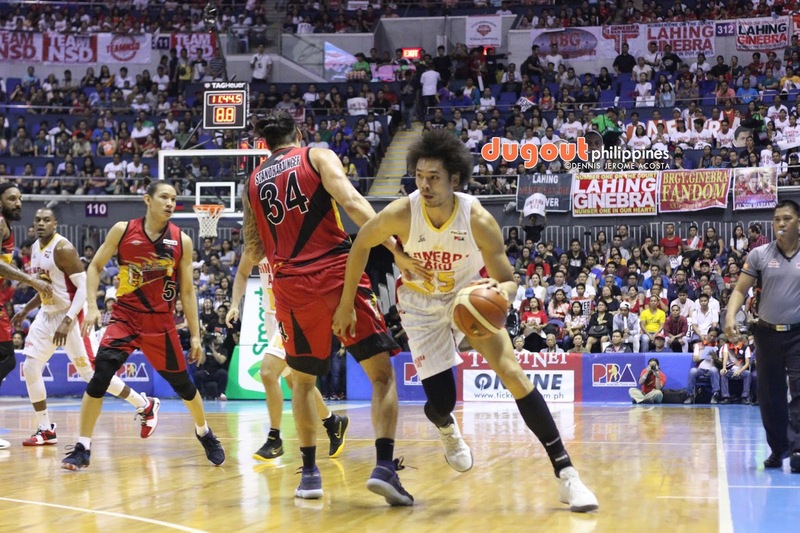 ￼“Japeth’s quickness, perimeter scoring as well as his above the rim athleticism combined with his vast experience in the international brand of play will surely be an added boost in our battle against Qatar,” Panlilio said on Aguilar. ￼“We struggled mightily against Iran because we couldn’t shoot from the outside, with [Matt] onboard, hopefully, that problem will be ￼addressed,” he then said on Wright. To give roster room for Wright and Aguilar, Raymond Almazan and Allein Maliksi will take a day-off. On the other hand, with Guiao opting for quickness despite the continuous absence of Greg Slaughter, he named Stanley Pringle as his designated naturalized player, taking over the spot vacated by Chris Standhardinger. ￼“The inclusion of Stanley Pringle will add stability in our guard rotation as we want to take ￼advantage of our quickness against the guards of Qatar,” Panlilio continued. Beau Belga, Alex Cabagnot, Poy Erram, Marcio Lassiter, Paul Lee, Gabe Norwood, Ian Sangalang, Asi Taulava, and Scottie Thompson retain their spots for the match against Qatar.